Maggie Gyllenhall Explains Why She Kept James Franco on The DeuceAfter the sexual-misconduct allegations against him surfaced. The Deuce Will Get a Third and Final SeasonWe’re going to the ’80s. See James Franco, Tim Blake Nelson in Coens’ Ballad of Buster Scruggs TrailerStream it November 16. Zoey Deutch Confirms Your Suspicion That James Franco Is Not a Good KisserThe Set It Up star kisses and tells. How Do We Interpret Future World After James Franco’s Misconduct Allegations?Certain plot threads — and how they relate to the ongoing real-life situation involving Franco’s treatment of women — are stomach-churning. 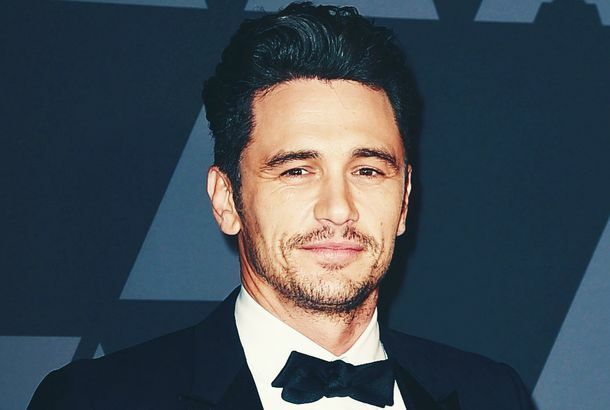 James Franco Will Return for The Deuce’s Second SeasonThe actor was accused of sexual misconduct by five women following his Golden Globes win. This Actor Was Reportedly Edited Out of Vanity Fair CoverHe was nixed because of misconduct claims against him. 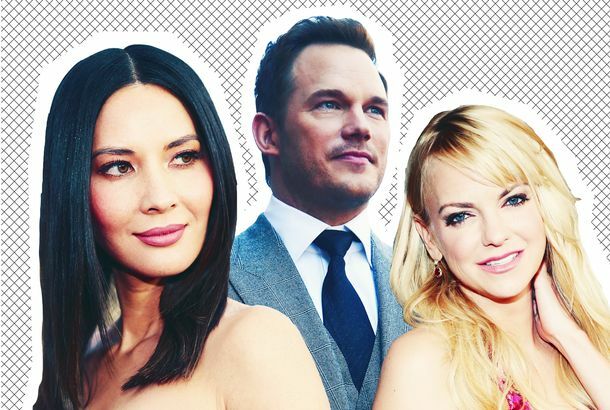 What Is Going on With Olivia Munn and Chris Pratt?And more in this week’s celebrity gossip column. Scarlett Johansson Wants Her Time’s Up Pin Back, James FrancoJohansson pointed the finger at Franco in her speech at the Women’s March in Los Angeles. Here’s a Disgusting Play-by-Play of Leslie Jones Almost Vomiting on James FrancoShe gulped it back when James Franco hosted. James Franco Is Practically ‘Inconsolable,’ According to TMZBoo-hoo. James Franco Wins Critics’ Choice Award Amid Sexual-Misconduct AllegationsWalton Goggins accepted the accolade on his behalf. David Simon Says HBO Hasn’t Gotten Any Complaints About James FrancoFranco stars in and executive produces The Deuce. 5 Women Accuse James Franco of Inappropriate Behavior, Sexual MisconductFranco has denied the allegations on late night shows. 5 Women Accuse James Franco of Inappropriate Behavior, Sexual MisconductFranco’s attorney has disputed each claim. I Wonder Why James Franco’s Stripper Saga Movie Is Maybe Not HappeningReports suggest the movie is stalled because of the #MeToo movement. James Franco Responds to Misconduct Allegations on Late ShowStephen Colbert did not shy away from asking his guest about the accusations that were made on Twitter. New York Times Cancels James Franco Event After Accusations of MisconductThe actor was scheduled to promote The Disaster Artist at a TimesTalk. All the Gossip About James Franco After the Golden GlobesAnd more in this week’s celebrity gossip column. 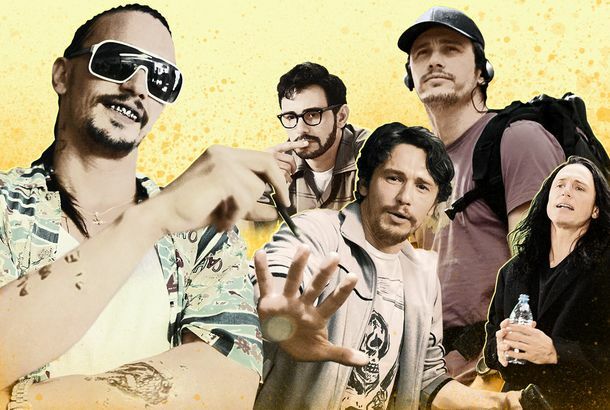 Should James Franco Have Blocked Tommy Wiseau From the Mic?A needlessly in-depth investigation. Here’s What Tommy Wiseau Wanted to Say on the Golden Globes StageSome wise words. 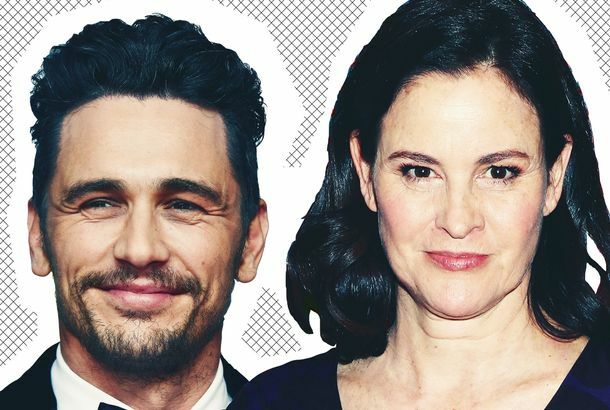 James Franco’s Past Scrutinized on Twitter After Golden Globes WinAlly Sheedy’s since-deleted series of Tweets in particular drew a lot of attention. What Did James Franco Do to Ally Sheedy?Sheedy accused Franco of … something after his Golden Globes win. 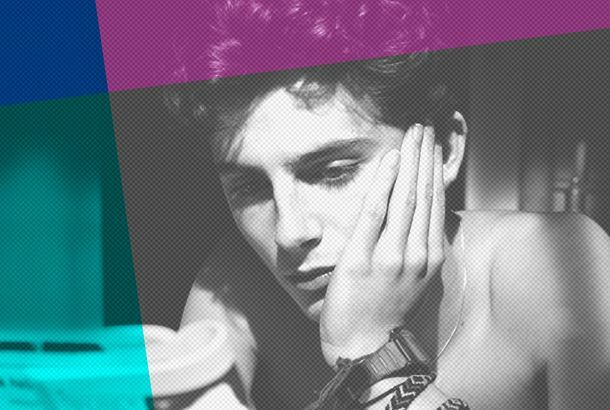 Most Awkward Moments From the Golden GlobesJames Franco births a meme, Issa Rae is asked what she would call the memoir she already wrote, and more. James Franco and Tommy Wiseau Bro Out on the Golden Globes StageOh hi, winners. Cut SNL Sketch Stars James Franco in Cheap Hallmark Movies You Would Still WatchMeet Canadian star Chris Bearstick as Young Santa in a cut SNL sketch. Leslie Jones Goes Through a Journey Trying Not to Throw Up in This SNL SketchYou would understand why. A Bunch of Famous Comedians Interrupted James Franco’s SNL MonologueToo bad they’re more excited to see SZA. The 11 Best Film Performances of 2017Including Margot Robbie, Brooklynn Prince, and Daniel Kaluuya. James Franco to Star in Shel Silverstein Biopic, Will Probably Rock a BeardQuite the look. The Disaster Artist: An Oral HistoryHow James Franco and friends brought the story behind the 21st century’s biggest cult film to life. 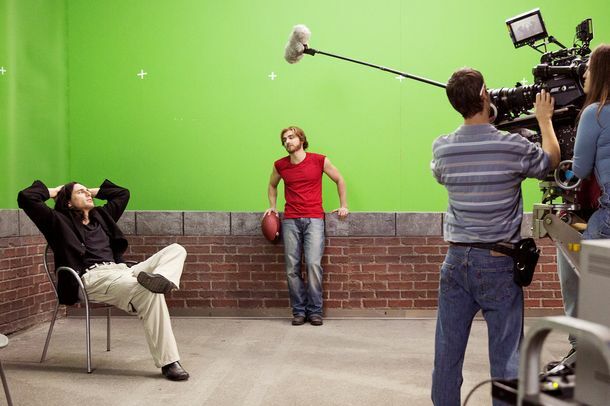 How The Disaster Artist Recreated The Room’s Iconic ScenesJames Franco, his brother Dave, Ari Graynor, Josh Hutcherson, and the real Tommy Wiseau and Greg Sestero weigh in. Why The Disaster Artist Needed the Franco BrothersThe movie can be read as spinoff of the real, public relationship of James, the oddball, and Dave, the cheery all-American.